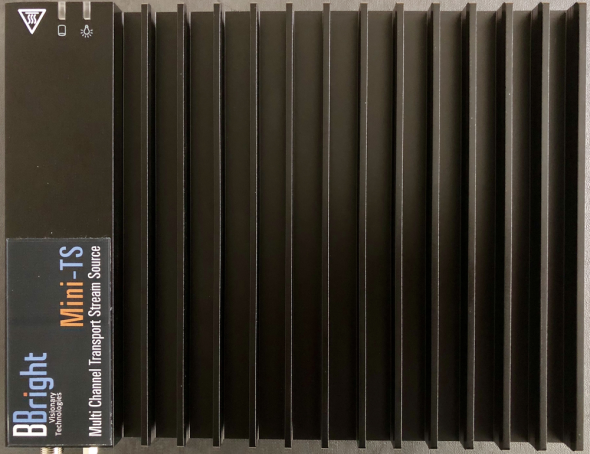 Mini-TS is an easy to use and cost effective compressed video playout server for professional broadcast or streaming applications such as for satellite, terrestrial, cable networks, or telco/IPTV operators, playout facilities, R&D centers and laboratories. The Mini-TS supports H.265 / H.264 / MPEG-2 TS files, either for PIP, SD, HD, full-HD or UHD channels. Video, audio and subtitles PID’s can be selected and remapped for three SPTS over UDP multicast streaming. Built on BBright Multi-TS software legacy, the Mini-TS can be used in any field, bench, laboratory or test applications for 24 -7 linear playout with an optional scheduler and integrated playout event automation. BBright’s advanced technology and field proven know-how enable the Mini-TS server to deliver uncompromised compressed playbout reliability for mixed Codec and all video resolutions.